Jerusalem-based immunotherapy company Enlivex Therapeutics Ltd. raised $8 million in Series B funding based on a pre-closing company valuation of $50 million, the company announced last week. Seoul-headquartered venture capital firm Korea Investment Partners invested $6 million as part of the funding round announced, and Jerusalem-based biotechnology company Hadasit Bio Holdings Ltd. invested $2 million. The clinical-stage company develops cell-based treatments for complications of cancer, bone marrow and organ transplants and for various autoimmune and inflammatory conditions such as Crohn's disease and multiple sclerosis. Enlivex Therapeutics was founded in 2005 by Dror Mevorach, who is the director of the Center for Research in Rheumatology at the Hadassah – Hebrew University Medical Center in Jerusalem. 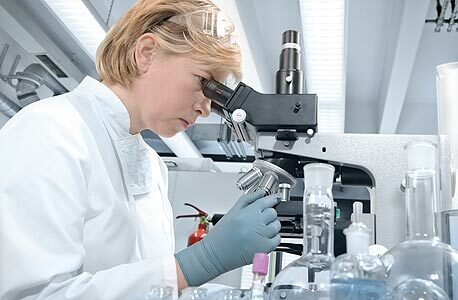 Enlivex will use the capital to move towards pre-clinical and clinical development and specifically towards Phase III clinical trials—used to test the efficacy, effectiveness and safety of drugs on patients. Enlivex's lead compound, Allocetra, is indicated for the prevention of Graft Vs Host Disease (GVHD) post bone-marrow transplantation. "This is our third investment in the bio-tech space in Israel. We are truly excited about the potential of Enlivex to affect a change in the space of immunology," said Sangwoo Lee, KIP's executive director. Following the round, KIP has appointed two members to Enlivex's board of directors. KIP invested $8 million in Herzliya-based biopharmaceutical company Eloxx Pharmaceuticals Ltd. in August 2017, and $12 million in Jerusalem-based company KAHR Medical, which develops treatments for cancer and autoimmune diseases, in 2015.